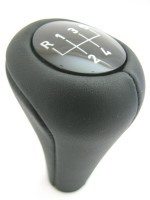 Genuine BMW black leather 5 speed gear knob. 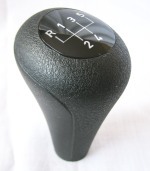 This fits all BMW models with manual transmission made from 1982 onwards. 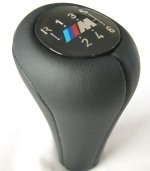 Genuine BMW M black leather 5 speed gear knob. This fits all BMW models with manual transmission made from 1982 onwards. 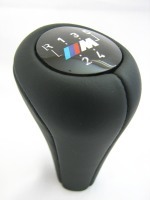 Genuine BMW M black leather 6 speed gear knob. This fits all BMW models with manual transmission made from 1982 onwards. 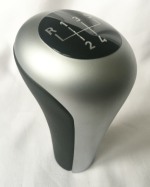 Genuine BMW M brushed alloy 6 speed gear knob. This fits all BMW models with manual transmission made from 1982 onwards. Genuine BMW brushed alloy 5 speed gear knob. This fits all BMW models with manual transmission made from 1982 onwards. 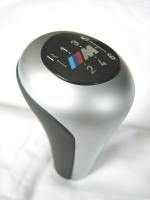 Genuine BMW vinyl 5 speed gear knob. This fits all BMW models with manual transmission made from 1982 onwards.